The weather recently has been extremely turbulent and unpredictable, but one thing that is always certain is our excitement for Big Community Challenge 2018! Preparations are well underway and we couldn’t wait to tell you all about what our volunteers have been up to. Increase in work skills, meaningful activity and personal achievement. To really push the boat out for 2018, employee-volunteers will be revamping not one, not two but three separate venues over the course of the challenge. In recent years, challenges have taken place in one venue over three days, this year however we will be heading to a new venue every day and revitalising their outdoor spaces. The first place volunteers will be going is Gale Farm Court, a sheltered house facility with additional care provisions. On the second day of BCC 2018, volunteers will be creating a beautiful outside space for the young people at Mill Lodge, a mental health community unit for 12- 18 year olds. Finally, employee-volunteers will be making over the grounds at Clarence Gardens, a green space situated next to York District Hospital, creating a relaxing outdoor area for patients and visitors. In Gale Farm Court, employee-volunteers will be making improvements to the community courtyard, creating more spaces more residents of all abilities to sit outside and socialise. 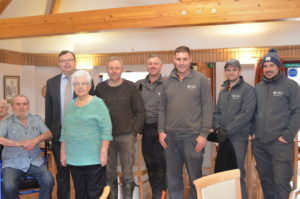 Kerrie Smith-Sankowskyj, the Facilities Manager, at Gale Farm Court, said that the revamped courtyard will be a “positive community space” and will “enable more residents to use and socialise in it which in turn prevents loneliness and isolation amongst residents”. 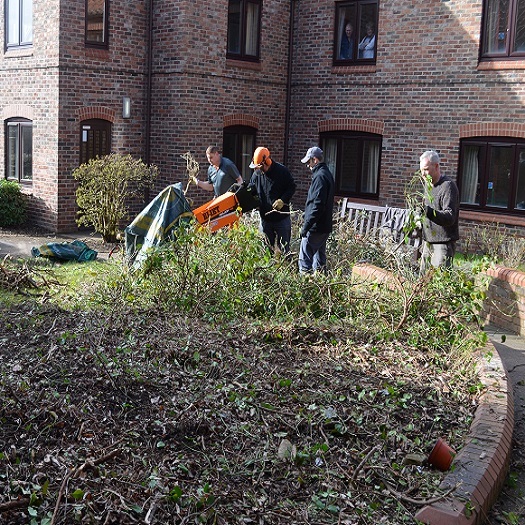 As part of our pre-challenge preparations, a team of employee-volunteers from the University of York maintenance team – led by Gordon Eastman – were on-site, undertaking essential shrub clearance work. 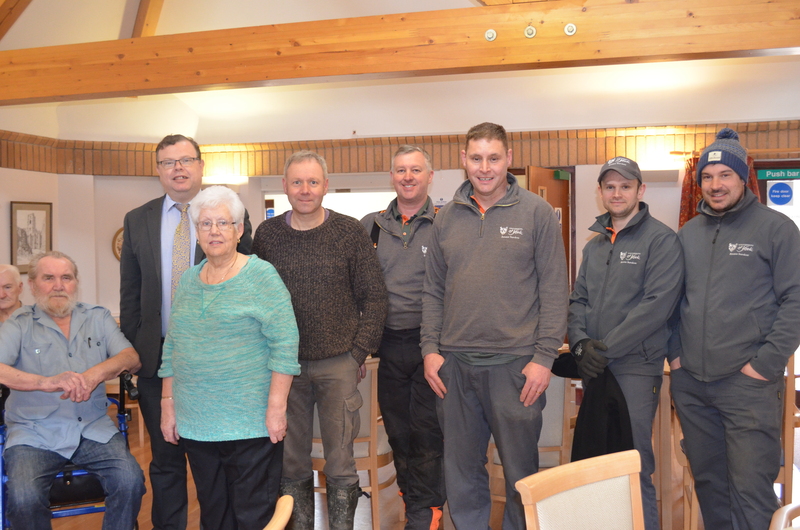 After a rewarding day of outdoors volunteering, Gordon enthused that “As ever, it is our pleasure to help out with the community challenge and as always we enjoyed it immensely”. Employee-volunteers are already making a difference to York – and the Big Community Challenge hasn’t even started yet! While we can’t guarantee perfect weather in June, one thing is certain – the Big Community Challenge will be elevated by teams of enthusiastic and hardworking employee-volunteers, just like the UoY maintenance team. As with Big Community Challenges past, we know employee-volunteers are going to make a huge impact on our city – we just can’t wait to get started! This guest blog was written by Hannah Land, the Challenges intern at York Cares, who is volunteering with the charity whilst studying English and Linguistics at the University of York.